Singaporean insurance firm becomes first in industry to include robots among its customer-facing staffers. 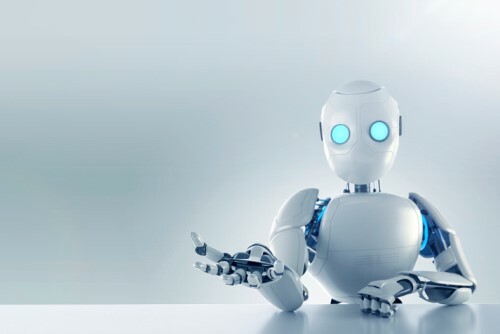 The two robots, Pepper and Nadine, are making history by becoming the first humanoids to take on roles in customer service as part of the team at AIA Singapore. This milestone also represents the nation’s very first exploration of the use of intelligent software to enhance customer experiences. Last week (12 October), AIA Singapore officially opened its newly renovated next-generation, digitally-enabled customer service centre in the city’s Central Business District (CBD) with Pepper and Nadine. “As industry leaders, it is our responsibility to constantly push the boundary of innovation to bring greater value and service excellence to our customers,” said Patrick Teow, CEO at AIA Singapore. Visitors to the customer service centre will be greeted and served by the socially intelligent humanoid robots. Both can perceive emotions and adapt their behaviours to respond in an appropriate manner. They will also evolve continuously through acquiring new knowledge to become more effective to customers. Pepper and Nadine will engage with customers by responding to general enquires about AIA Singapore and the customer service centres, details on customers’ policy loans and submission on some policy transactions requests, as well as other common enquiries while promoting AIA Singapore’s customer portal, AIA eCare, to encourage self-help. Visitors may also catch Pepper showing off his signature dance moves at the CBD outlet and are encouraged to take Instagram-worthy photos with him to be shared on social media. Meanwhile, at another customer service centre, visitors will be able to interact with Nadine, who is modelled after its creator NTU Professor Nadia Thalmann. Unlike conventional robots, Nadine has her own personality, mood and emotions. Instead of a total replacement of its staffing, human employees still play their part at the centres and customers can choose between approaching the robots or people for help. The refreshed customer service centre has thus been specially designed with the purpose of creating a conducive environment for staff to hold more personalised interactions with customers. AIA is exploring the possibility of introducing other socially intelligent robots to its team in the near future. It is continually working in close collaboration with NTU to realise the full potential of artificial intelligence and robotics technologies after the successful experiment with Nadine. “Such collaborations pave the way for tangible tech-enabled solutions to real-world business challenges, as Singapore pushes the frontiers in our Smart Nation drive,” said Professor Thalmann, Director of the Institute for Media Innovation at NTU Singapore.